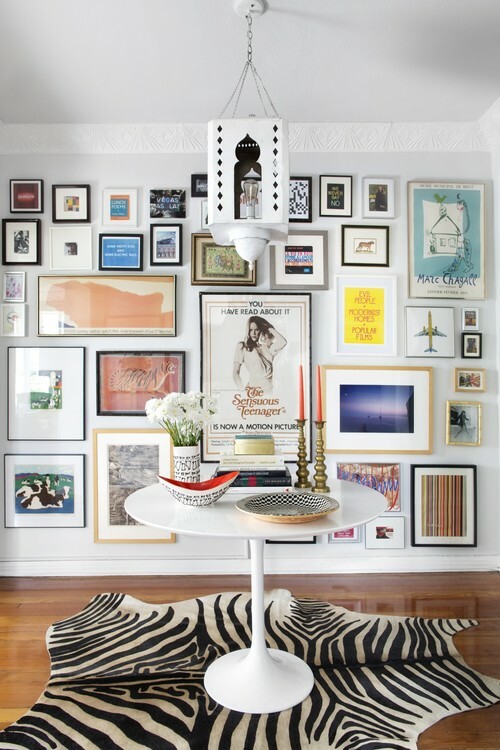 At this point, it’s safe to say most of us are obsessed with gallery walls. And while we’re not knocking the usual places to hang one, we are always looking for new ways to keep the classics fresh and new. 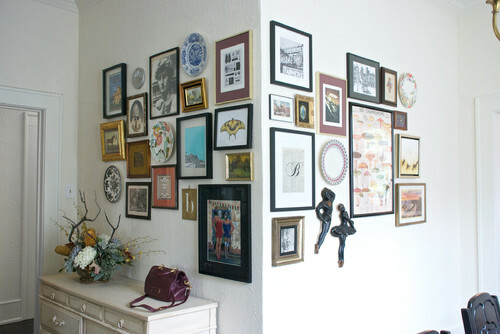 Check out these 11 unexpected places to hang a gallery wall!. Whether you have a bold headboard or not, this look makes any bedroom shine. And isn’t it more fun to count art and photographs than sheep on restless nights? 2. Gallery wall? More like gallery hall. 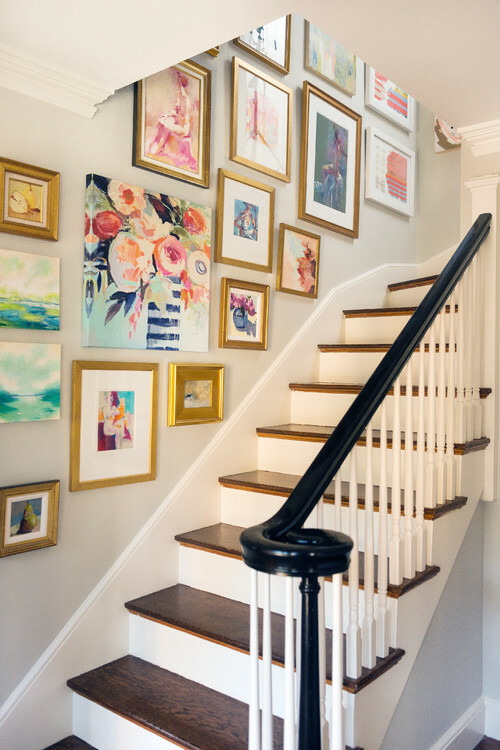 Make the walk from the living room to the bedroom oh-so-exciting by adding a gang of gallery walls to the hallway. 3. On a shelf, behind the couch. If you’re the kind of person who likes to keep life interesting by rearranging often, shelves are your new best friend when it comes to setting up a gallery wall. Your walls will thank you. 4. Pick a corner, any corner. 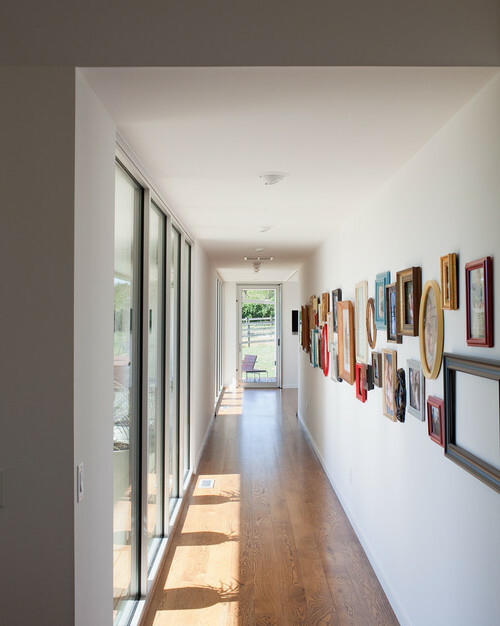 Turn a corner with your gallery wall. You’ll kill two birds (empty walls) with one stone (all your art and photos). 5. As the backdrop for your dining room. Make your dining room cozy by adding a floor-to-ceiling gallery wall. 6. That awkward wall, usually in your kitchen. Don’t act like you have no idea what we’re talking about. Everybody’s got that one wall they have no idea what to do with. 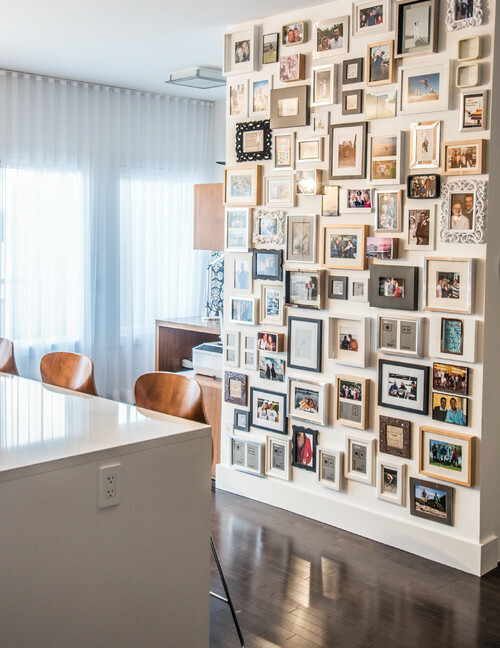 And we’re here to tell you to put a gallery wall on it. Okay, okay. We know you’ve probably been doing this forever but look cool it is! 8. In front of the glass doors that lead to your outdoor area. It’ll look good whether you’re inside or out. But beware, constant exposure to sunlight could harm your artwork and photographs if they’re not protected properly. 9. Where your mantle should be. All home comes with their quirks. 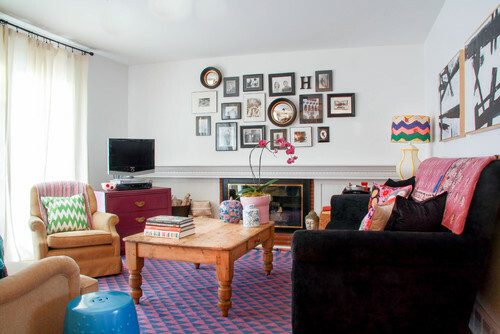 Use them to your advantage by putting a gallery wall where common fixtures , like mantles, are often found. We love the idea of doors as frames into the next room. 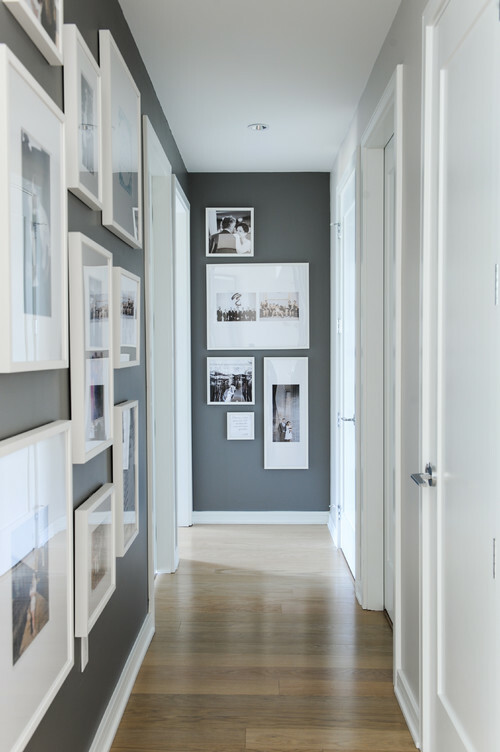 And to make the impact even more stunning, add a gallery wall to frame your door that frames the next room. Inception, home decor style. Who says small rooms can’t handle a gallery wall? Forget putting magazines in the bathroom and instead fill the walls with a gallery of your favorite things.